Jim McDaniels, one of the finest players to ever represent the Western Kentucky Hilltoppers, died Wednesday evening in Bowling Green. He was 69. 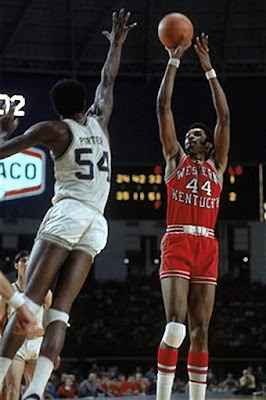 Big Mac, a 7-foot center from nearby Scottsville, was a legendary and iconic figure in the annals of Western Kentucky basketball. His time at WKU ranks as the most successful period in the program’s rich history. 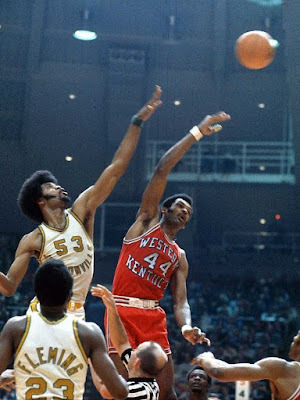 He set WKU school records with 2,238 career points (now tied with Courtney Lee) and 1,118 careerrebounds. The Hilltoppers went a combined 62-19 during McDaniels’ time with the program under head coach John Oldham, advancing to the NCAA Tournament in each of his last two years, including a run to a third-place finish in the Final Four in 1971. 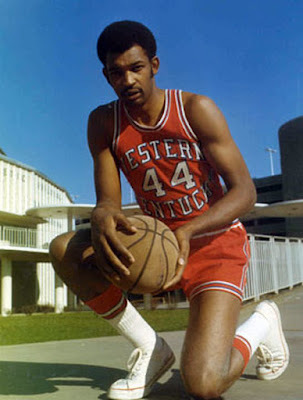 Before he arrived at WKU, McDaniels averaged nearly 40 points per game as a senior at Allen County High School and was named Kentucky Mr. Basketball in 1967. 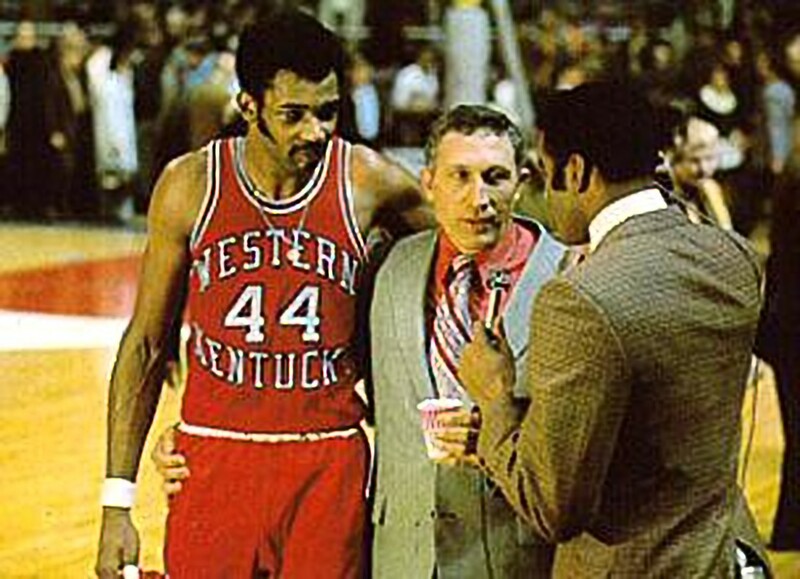 There is a great article at WKU Herald about the 1970-71 season, undoubtedly the best ever for the WKU program, that featured Jim McDaniels. Written and published in 2014 by Elliot Pratt, it is entitled, "Standing Alone: WKU's 1971 Final Four Team Remains in a League of its Own." I highly recommend that everyone who remembers that team read it. 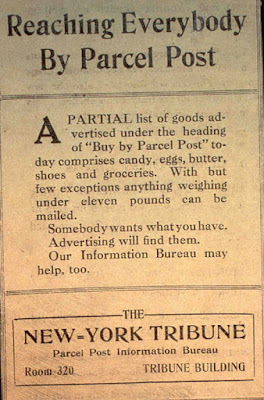 Below is information contained in the article. During that 1970-71 campaign, Western Kentucky basketball – behind the first all-black starting five of Jim McDaniels of Scottsville, Clarence Glover of Caverna, Jim Rose of Hazard, Rex Bailey of Glasgow and Jerry Dunn of Glasgow – would go on to have the most memorable season in Hilltopper athletic history. Three years before that season, Jim McDaniels turned from the most sought-after player in the country to recruiter. 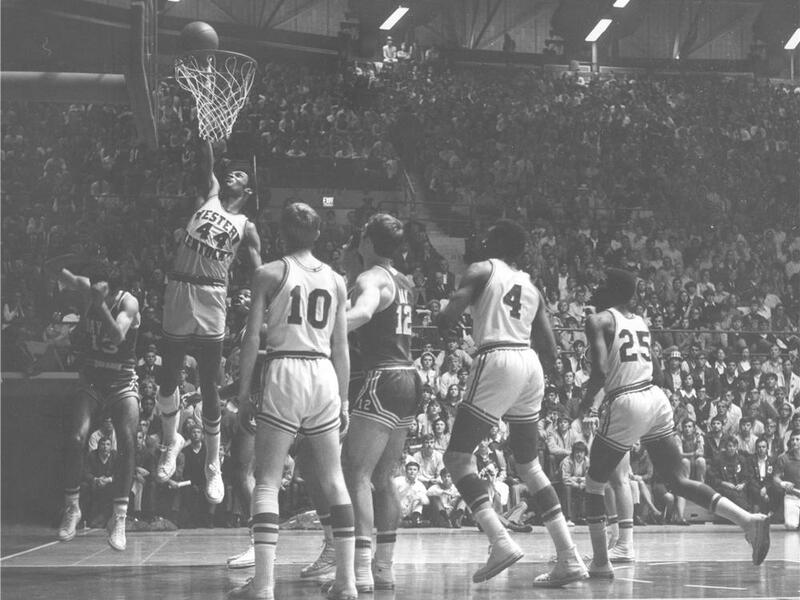 McDaniels, Clarence Glover, Jerome Perry and Jim Rose were high school seniors preparing to play in the Kentucky All-Star game at Freedom Hall in Louisville. The four sat in a room together at the Brown Hotel talking about where they wanted to attend college. Jim Rose was going from his hometown of Hazard to Houston, Clarence Glover was going from Horse Cave to Florida State. When the conversation was McDaniels’ turn to take, he put his recruiting hat on. “I said ‘guys, it would be great if we could all come together and play together, because I think we can probably win a national championship and definitely make it to the Final Four,” McDaniels said. McDaniels reached out his hand in the center of the group, inviting them to join him at Western. Rose said he’d love to play with “Big Jim”, placing his hand on top of McDaniels’. Perry put his hand in, too. The only one they were waiting on now was Glover. “It wasn’t something that was premeditated,” McDaniels said. “Everybody put their hand in and finally it got to Glover, and he was the only one who didn’t put his hand in. We kept our hands out there for five minutes. He goes, ‘man, you guys are too much, you guys are crazy’. He puts his hand in and it was great. 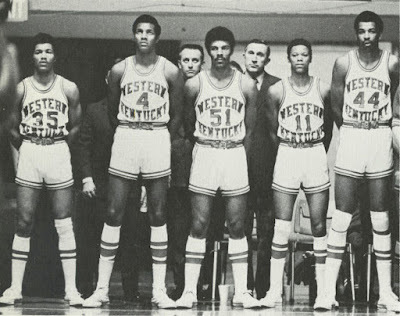 The Toppers just ended the 1970-71 regular season at 20-5. 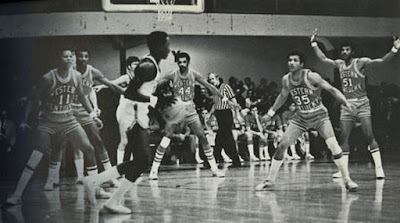 Jim McDaniels had scored 29 points in the finale against Austin Peay to make him the highest scoring player in Western history. Their first opponent in the NCAA Tournament was Jacksonville. Clarence Glover still doesn’t know what made him want to do what is now known as the famous shoestring play, but it worked and that’s all that mattered to Western. Western was tied at 74 with Jacksonville after being down 44-30 at halftime. 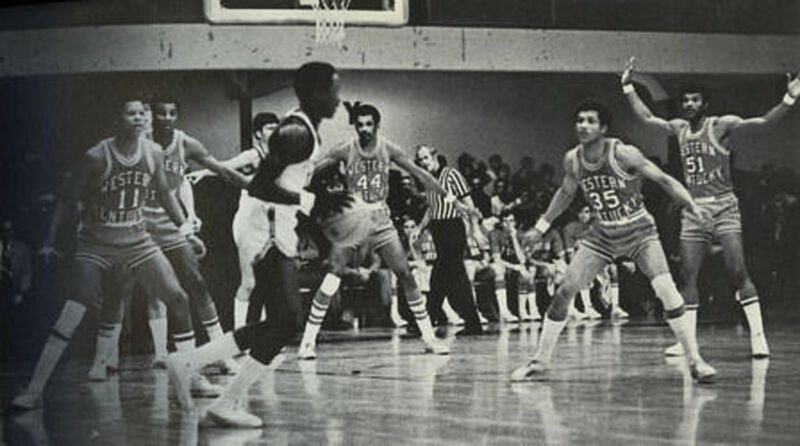 The Dolphins called a timeout with eight seconds left and Ernie Fleming inbounded the pass and double-dribbled. While Jacksonville players ran to console Fleming, Western players rushed to the ball to get a play inbounds because the Toppers had no timeouts. All except for Glover ran to the ball. Glover casually walked down the opposite side of the court and set himself up right underneath the basket, knelt on one knee and aligned himself directly behind the defender guarding the inbounds pass from Gary Sundmacker. 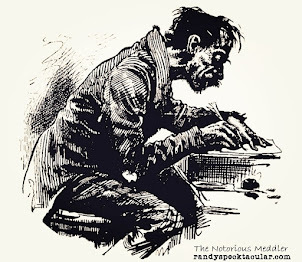 Glover pretended to be tying his shoestring, writing the script for a play that would go down in Western athletic folklore. 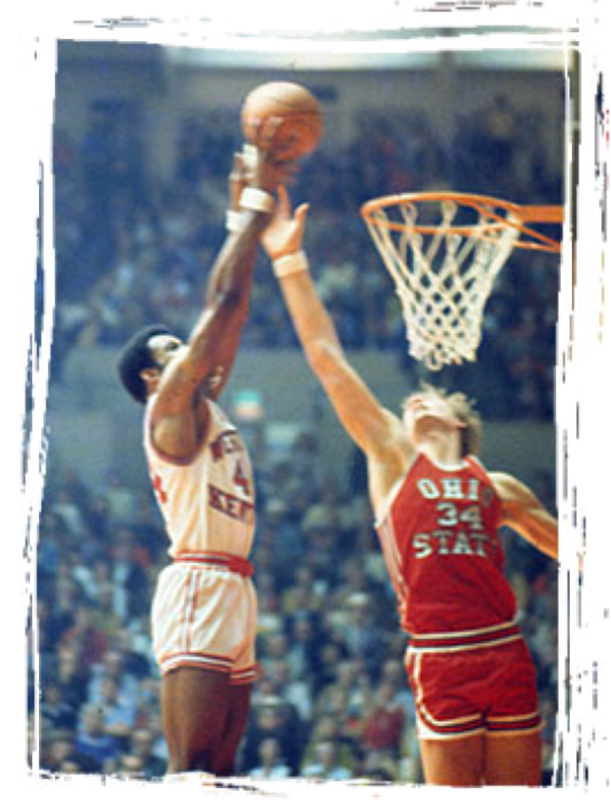 Jim Richards recalls the play through his own reenactment on the court of Diddle Arena. “I said, ‘Gary, Clarence is wide open!’, and he said, ‘Where? I don’t see him’, I said ‘He’s down on one knee pretending to tie his shoe,’” Richard recollected. “He said, ‘Oh, I see him, I see him’. “He got the ball and he threw it right up near the basket. The rest is history. Glover scored and Western advanced to the first ever meeting between the Toppers and the Kentucky Wildcats. “That was such a big deal to these kids in my mind,” Jim Richards said. 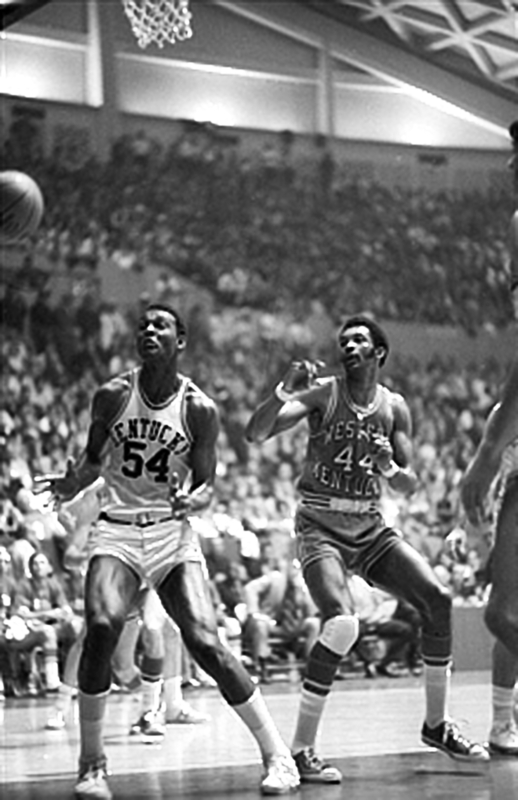 “They never said it to me, but full well knowing that they were African American athletes and knowing they were not recruited in essence by the University of Kentucky. They may say they recruited (McDaniels), but they really didn’t recruit him. McDaniels scored 35 points and Glover had 17 rebounds as Western defeated Kentucky 107-83, the most amount of points the Wildcats allowed all year. Kentucky and Western wouldn’t meet again until 1986 in the NCAA Tournament. Against Big Ten champion Ohio State, Western battled from 18 points down to win in overtime 81-78, setting up a date with Villanova in the Final Four in Houston. At halftime in the locker room, McDaniels said, “I looked around at everyone and said ‘I don’t know about you, but I don’t want this thing to end’. Glover said, "We looked at each other and everybody put their hand in there again and – oh, man, they knew when Big Jim, the captain, puts his hand in there what that means." Western had every chance to defeat Villanova and advance to the national championship game. 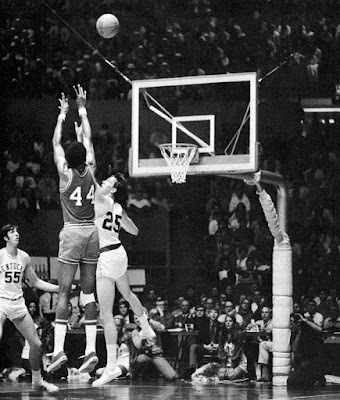 Jerry Dunn missed a one-and-one free throw with four seconds left to send the game into overtime, it was then when Glover’s miscue took over. Whereas Glover was the hero against Jacksonville and scoring the last five points against Ohio State, his miscues helped cost the Toppers that chance. McDaniels found him wide open under the basket for an easy layup for the chance to clinch victory. McDaniels fouled out in the second overtime and the heart of Western checked out of the game. A disheartened Topper club sat in the locker room after the game dejected only to hear Coach Oldham announce his retirement following the season’s end. By McDaniels’ account: “He said, ‘I’m going out with you guys. I’m going to retire at the end of the game tomorrow’. Coach says let’s all go out a winner. We played that game like it was a championship game. In the consolation game against Kansas, Dunn redeemed himself with the free throw shots to secure a win and a third-place finish in the NCAA Tournament. It should be noted that the NCAA later voided Western Kentucky's participation in the tournament, accusing McDaniels of signing with an agent while still in college. 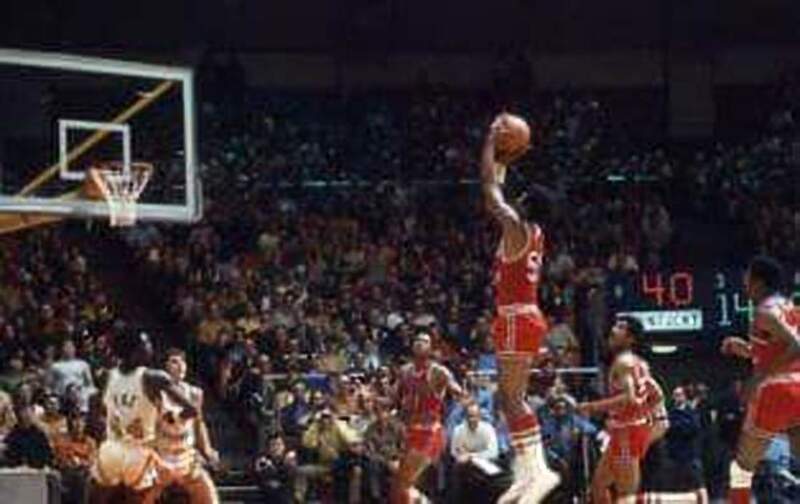 Still, all of the glory of that 1970-71 season cannot go ignored. You can't erase how successful the program was during his time at WKU. 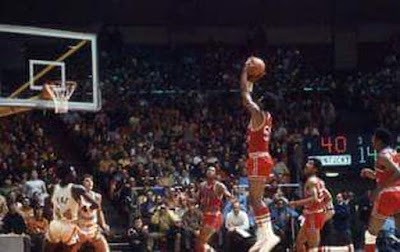 After his college career ended, McDaniels played professionally in both the NBA and ABA from 1971-78, playing with the Carolina Cougars, Seattle SuperSonics, Los Angeles Lakers, Kentucky Colonels and the Buffalo Braves, as well as one season in Italy. He continued to live in Bowling Green and remained around the Hilltopper program through the years.